The Internal Revenue Service offers business owners a fair number of small business tax deductions — if you know where to find them. Here are 10 small business tax deductions to help you navigate through the maze of write-offs. You can deduct up to $5,000 in start-up and $5,000 in organizational costs for the first year of business. These deductions apply to expenses paid or incurred after Oct. 22, 2004. The rules differ for expenses before that date or if your costs exceed $50,000. Expenses that are not deducted can be amortized over a 180-month period, which begins when you open your business. You can write off or amortize market research, advertising, employee training, business-related travel, legal advising and other costs. The IRS has strict guidelines for deducting educational expenses, so be sure to read Publication 970, "Business Deductions for Work-Related Education," thoroughly. Generally, employers can deduct employee educational expenses if the courses maintain or improve job-related skills, or if employees need the education to continue in their current jobs. If you are self-employed, you can also write off some educational expenses. Transportation to and from the classes may be deductible. You can't write off any educational expenses that train you in a new field, however. 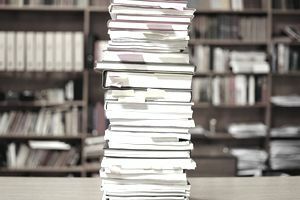 Auto deductions are clearly delineated under IRS rules and tend to be among the more scrutinized items, so meticulous record-keeping is critical. You can deduct vehicle expenses either by the mile (for tax year 2006, the IRS allowed a deduction of 44.5 cents per mile driven for business purposes) or for actual expenses such as gasoline and maintenance. If you use your personal vehicle on the job, keep careful records about where you went and the nature of your business. You also can write off a newly purchased vehicle (even if it's bought second-hand) in one deduction or through depreciation, which lets you write off parts of business equipment costs over several years. The IRS stipulates that personal auto use cannot be written off as a business-related expense, so be sure to follow the guidelines in Publication 463. If your employees are using a business car for personal use, the IRS wants you to record the value in their W-2 forms or wages. For credits, keep an eye out for environmentally friendly IRS initiatives: You could receive up to $3,150 from the government if you have purchased a hybrid for your business since 2005. Check out Form 8910 for more details. Small businesses can take a single deduction of up to $108,000 for equipment purchased in 2006. The deduction falls under Section 179 of the tax code and is reduced if those equipment purchases exceeded $430,000. The deduction in prior years was only about $25,000; in 2007, it will rise to $112,000. As of now, however, the higher deductions are only good through 2009. The equipment doesn't have to be new, as long as it's newly purchased and will be used at least half of the time for your business. Equipment includes computers, machines, furniture, cars and a host of other necessities. Movable equipment generally counts; property does not. You will need to fill out Form 4562 to take the deduction. Businesses that choose not to take the immediate deduction can write off portions of their equipment purchases over several years through depreciation. The IRS doesn't mind your mixing business with pleasure – within reason. You can deduct up to 50 percent of entertainment expenses for unreimbursed business meetings. The entertainment must be within a "clear business setting" (such as at a conference) or should immediately precede or follow a business meeting. If you are self-employed, the 50 percent deduction limit does not apply. Unreimbursed travel expenses are tax-deductible. The IRS recommends keeping a log of your expenses and receipts. Transportation, (such as airfare) lodging and even dry cleaning can be deducted, and half of any business meals. You also can deduct expenses for business associates traveling with you. You can't write off expenses for family members or friends if they accompany you, unless they are employees and are professionally involved in the business end of the trip, but it is fine to deduct your part of the trip if it is for business. Software normally must be written off over three years because it will serve your business for more than one year. Section 179, however, allows small businesses to fully deduct off-the-shelf software the year it is purchased, as long as it is used the same year. Partnerships, S corporations and limited liability companies all require that their members file the company's taxes on their personal forms, including charitable donations. Donations are "passed through" members, like the organization's income. C corporations are entitled to corporate deductions. Individuals can deduct between 30 percent and 50 percent of their adjusted gross income to qualifying 501(c)(3)charities and foundations. Corporations can deduct up to 10 percent of their taxable income, according to the Better Business Bureau's Wise Giving Alliance. If you want to contribute $250 or more and receive a deduction, you must have a letter from the organization verifying your donation. If your business makes a non-cash donation, such as giving a car or a computer, figure out how much you can deduct. The deduction will decrease if you've already received a tax break for the donated property or if it has lost significant value. Check both Publication 551 and the Section 179 deduction. Advertising and promotions directly related to your business are deductible as miscellaneous expenses. See Publication 535 to write off advertising and other costs. Accountant and attorney fees are deductible as business expenses, but you cannot deduct professional fees for purchasing business assets such as equipment. Those charges are included as costs of the purchase. Sole proprietors can write off fees from tax professionals on Schedule C or Schedule C-EZ. For sole proprietors, any additional expenses can be deducted on Schedule A of your 1040. Check with a tax professional for more guidance on interpreting these IRS options. Tiare Rath is a freelance journalist and a former personal finance columnist for MarketWatch.com.